Learning At The Potter's Wheel is a collection of articles on home, family, marriage, parenting, natural medicine and herbs. . . along with a few other items of interest. Have fun sorting through my junk drawer of assorted thoughts and ramblings. The Potter has persisted in giving me treasures I don't always understand or appreciate. Patiently, He is teaching me to trust that all I really need to know is that I am in HIS hands. . . The chlorophyll accounts for its bright green color. Victorious Greek athletes wore wreaths into which parsley was woven in honor of Hercules, an icon of strength. Ancient Greeks and Romans wore Parsley believing it absorbed the fumes of wine and prevented intoxication. Medieval and Renaissance herbalists used Parsley to treat kidney and stomach problems, insect bites, and to fighting infection. Its high nutrient content make Parsley a choice ingredient in nutritive tonics. Parsley has a high mineral content that includes potassium and iron. It has more iron than any other green vegetable. While this food is high in vitamins A and B, it has nearly three times more vitamin C than citrus. 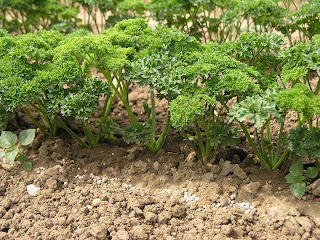 Parsley has high chlorophyll content, accounting for its vibrant green coloring. The combination of minerals and vitamins in bio-available form mean that Parsley can be a key component in helping to balance and support a healthy nervous system and adrenal function. Parsley increases the body's resistance to all diseases by strengthening the immune system. Parsley is a tonic for blood vessels, capillaries and arterioles. Its ability to support the health of these smallest parts of the circulatory system make it beneficial in the treatment of high blood pressure. As a digestive, Parsley promotes the proper assimilation of nutrients and elimination of waste. In doing so, it helps restore normal digestion. Parsley helps relieve and reduce excess gas, reduce nausea and relieve constipation. Parsley increases urine volume, helping to eliminate excess fluid from tissues, a condition known as edema. Because Parsley is rich in potassium, it will not deplete the body of its valuable mineral resources. An additional benefit to Parsley’s nutritive properties is that it has a balancing effect on hormonal levels, supporting the endocrine system. Parsley has a regulating effect and can help to stimulate a delayed menstrual cycle, dry up milk glands after weaning, and help alleviate pain after childbirth. As a supplement to the diet, Parsley is not recommended for use by nursing mothers as it may reduce their milk supply. Helps bladder, kidney, liver, lung, stomach, and thyroid function. Parsley Root helps bladder, kidney, liver, lung, stomach, and thyroid function. Parsley helps clear uric acid from the urinary tract. It is a kidney stone preventative. Useful in the treatment of kidney and bladder problems such as kidney stones, gallstones, bladder infections and urinary tract infections. Parsley helps to both dissolve and expel gallstones and gravel. Parsley’s nutritive properties support healthy liver thyroid function. When the bronchial tubes are congested, Parsley helps remove excess fluid from the tissues without depleting the body of valuable nutrient and mineral stores. Some studies have shown that Parsley contains a substance that prevents tumor cells from multiplying. Parsley can be used as a cancer preventative and as a support by those already diagnosed. Parsley helps expels worms from the digestive tract. Parsley’s high chlorophyll content makes it a natural breath freshener. Simply chew a sprig for this effect. This property, in addition to its digestive properties, make Parsley much more than just a green garnish on a dinner plate. Good for bed-wetting, obesity, and prostate disorders. Rubbing crushed Parsley onto the skin can help treat cuts, insect bites (relieves the itching), lice, and dry or chapped skin. Parsley poultices are a good remedy for tired, irritated eyes. These poultices can also speed the healing of bruises. The juice of the plant applied to the skin will relieve the itch and sting of insect bites. Parsley is a mosquito repellent. Gauze pads soaked in Parsley juice can be used to relieve an earache or toothache pain. Parsley is not recommended for use by nursing mothers as it may reduce their milk supply. Disclaimer: None of this is to be considered a substitute for medical examination and/or treatment. Use what you will, but do so knowing that you must consider your own circumstance and the application of these things with sound judgment. Just when you think you’ve got it all figured out, life happens. Thankfully, the surprises are sometimes nice ones. . .
I’m happy to report that the delays in my posting here have not been due to tragic circumstances. Rather, it has been the result of some other projects that tore me away. I’ve been involved in some writing projects and some internet outreach. Not ALL of it has been fun . . . Unless becoming a target is your idea of fun (it’s not mine). But all of it has been used for good. I’ve enjoyed watching growth in some unexpected places and been privileged to encourage others as they do the hard work of developing their vision. The irony is that the very people I’ve tried to encourage have been the ones that unknowingly helped me through some of my darkest moments. . . . And NOW, some of those that claim I’ve helped them are becoming an encouragement to me. What a blessing! Nothing is wasted! It’s also b een humbling to see younger ones standing in the gap. Just when we get so weary and tired and think that all of our teaching and repeated lessons have fallen on deaf ears . . . events turn. I found myself on the sidelines for a bit wondering if anyone would step up to the plate and use what they’d been given. Things got dicey, but some stars began to shine. The quiet ones – it’s always the quiet ones – they took up their positions and took up the cause. You could really tell who had been praying. Sometimes we get so busy caring and doing that we lose sight of the fact that there are others who care and are willing to do. It was a balm to my soul to see abundant fruit just when it was most needed. No wonder nature is our teacher in things eternal. and all the people see his glory. and night unto night sheweth knowledge. 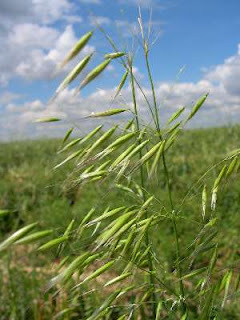 The parts of the oat plant left after harvesting the grain. This includes the threshed stem, leaf and milky tops, fresh or dried. Benzaldehyde, beta-carotene, beta-ionone, beta-sitosterol, betaine, caffeic acid, campesterol, carbohydrates, caryophyllene, chlorophyll, ferulic acid, lignin, limonene, p-coumaric acid, quercetin, scopoletin, silicic acid, sinapic acid, stigmasterol, vanillic acid, vanillin. Oatstraw contains an effective mix of calcium, magnesium, zinc and B vitamins that acts as an antidepressant, restorative nerve tonic, and relaxant. B vitamins are crucial for healthy brain and nervous system function. Zinc deficiencies are common in sufferers of depression. Taken internally this herb increases perspiration and helps to ease insomnia while relieving bed-wetting. Potassium, calcium, magnesium and vitamin A combine to support good bladder muscle function and relieve muscle cramps. · Potassium is critical for the body to metabolize calcium and magnesium. It helps relieve muscle cramps. · Calcium alleviates tension, irritability, anxiety and depression. · Magnesium is necessary for proper nerve function, relieving anxiety, tension and nervousness. Best taken with calcium. Because oatstraw is a whole food, the body is able to access the bio-available nutrients and access them for the greatest benefit. Nutrient supplements are seldom able to duplicate this. The nutrients in oatstraw are thought to help with nicotine withdrawal. For this purpose, the extract is said to be effective. I believe a tincture would suffice, as well. For tobacco withdrawal, mix 1 teaspoon liquid extract or tincture into ¼ cup water and drink three times daily. Oatstraw is often taken as a dried powder, in capsules, or as a tea. Oat straw tea drank several times a day encourages healthy nail growth. Or, place 1 teaspoon liquid extract in ¼ cup water and drink the mixture twice daily. If you are using a tincture, take one ounce (1 mL) three times a day. Studies are inconclusive as to the value in this area. However, many report that this is one of the benefits of adding oatstraw to their diet. As the endocrine system responds favorably to nutritive support, it would not be surprising that this would follow as a natural result of adding oatstraw to the diet. To make a tea, pour 1 c (240 ml) of boiling water over 1 tablespoon (3 g) of the dried oatstraw. Cover and allow to steep for 10–15 minutes and then strain. Drink at least three times daily to alleviate symptoms or as often as you like. Oatstraw is a good soother for skin disorders including neuralgia, shingles and genital herpes. The tea made from this herb can be utilized as a wash. The powder, tea, or tincture is often added to skin care products (i.e. soaps and skin conditioners). To soothe a skin irritation add small amounts of warmed milk to a tablespoon of powdered oatstraw until you have made a paste. Apply to the skin irritation and cover with plastic wrap. Secure the plastic and leave in place for 30 minutes to an hour. Repeat as often as needed for relief. This method can also be utilized to make a facial treatment. An oatstraw bath can provide relief for skin conditions and neuralgia. Boil 1 lb (500 g) of shredded oatstraw in 2 qt (0.95 L) of water for 20 minutes. If powdered, use ¼ to ½ cup of oatstraw. Strain the mixture and add it to the bath. Wild oat has not been associated with any health risks. There are no known side effects associated with designated dosages of wild oat. However, people diagnosed with celiac disease should consult with a doctor or health practitioner to determine if they can safely take wild oat internally.